April 2019 monthly event is scheduled to happen on Thursday April 18, 2019. Registration starts at 5:00 pm and 1st session starts at 5:30 pm. This session will focus on the Cybersecurity challenges that most companies and organizations face across all the industry verticals. So what is on top of a CISO's mind? And how does he/she work to mitigate the risks and challenges that companies and organizations face in terms of Cybersecurity? Dr. Rayapati will provide solutions and options in terms of external/internal threat, endpoint/cloud protection, etc. followed by a few AI-based Cybersecurity case studies. Prior to Cyber Forza, Dr. Rayapati worked as a President and CEO of SAI Technology. Previously he worked as Vice President of Design Engineering at Chartered Semiconductor, and served as Chief Technology Officer & Chief Operating Officer of Xalted Networks Inc. Dr. Rayapati also co-founded Portal Player Inc. (now part of NVidia) as their VP of Engineering & CTO. He has over twenty years of experience in Cyber Security, Wireless Video, and Artificial Intelligence. Before that he worked at Lucent Technologies as Director of Product Development, responsible for development of the broadband access products. He won Bell Labs President Award for the innovation of Stinger and Eagle Products. He held several technical positions at Nortel Networks, National Semiconductor (Chief Architect) and AMD (Architecture Manager of K6 &K7). Dr. Rayapati was also on the Board of Directors at Digital Video Systems Inc. and has held various technical advisory board memberships at Zarlink Semiconductor. Dr. Rayapati holds a Doctoral degree in Electrical and Computer Engineering from University of Montreal, Canada. He has also taught several courses at UC Berkeley and UC Santa Cruz in emerging Wireless, Optical Communications, Telecom, Artificial Intelligence and Cyber Security related advanced technologies. Dr. Rayapati has published approximately 35 papers in various reputable International Journals and Conferences. At this year's largest Enterprise Security gathering - RSA Conference 2019 - the term 'Zero Trust' was thrown around so much that it made the RSAC Buzzwords Top 3 List. However, while Zero Trust may indeed be one of the hottest topics in security today, it is not exactly new. In this talk we'll discuss the core principles behind the Zero Trust security philosophy, while also reminding the audience that this is not a new idea that came up this year - Zero Trust is a concept whose roots stretch back several decades! We'll dive into the evolution of Zero Trust, covering the major environmental and architectural shifts that are bringing the concept into the limelight today. We'll also describe what a Security Mesh architecture is, how it implements the Zero Trust security philosophy, and how it can help deliver Zero Trust initiatives for your enterprise environments. 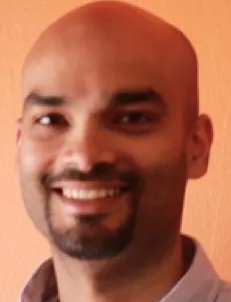 Tarun Desikan is the co-founder and COO of Banyan, a San Francisco-based startup at the forefront of Zero Trust security movement. Banyan's Zero Trust Intelligent Access platform provides secure, continuous, least privilege access and authorization for applications, infrastructure and microservices hosted in the cloud or hybrid environments. Tarun has over 15 years of experience developing and securing network infrastructure and distributed applications. Tarun and the Banyan team have pioneered the use of a Security Mesh architecture for transparent Zero Trust security for user-to-app and app-to-app communications. Planning to attend ISACA-SV Spring conference (2 May - 3 May 2019)? We are in an unprecedented age of technological growth. The latest forecast from GSMA Intelligence projects by 2025 there will be 25 billion internet-connected devices globally - which is more than four devices per person. Privacy is of great significance and consumers want to know how their information is being used and protected. At the same time, data security is a top priority with companies paying more attention to getting a handle on what data they have, how to encrypt it, rolling out more granular access controls, and upgrading monitoring and auditing capabilities. Join your fellow security professionals for affordable, high-quality conference and education. Attend featured keynotes, panel discussions, and round table sessions - all while networking with local peers. Anyone planning to take the new computerized CISA/CISM/CRISC ISACA certification exams during 2019? We are offering CISA, CISM and CRISC classes this cycle. Please sign up for one only, as the classes will be run concurrently. The schedule will run from 8:00am thru 5:00pm both days, April 27 and 28. We have scheduled this on a Saturday/Sunday to avoid the problems with commute time travel during the work week. Drinks, snacks, and lunch will be provided on both days. Click Here to Register for 2019 ISACA-SV Spring Exam Prep Class!